Upper Midwest’s leader in innovative business technology and services excels at providing and supporting Copiers & Printers, Managed Print Services, IP Phone & Recording Systems, IT Services, Document Management, and On-Site Managed Services for copy centers, mail rooms, and scanning. 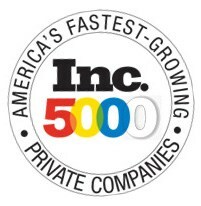 For the sixth year, Loffler Companies has made the 2013 Inc. 500|5000 list of the fastest-growing private companies in America. This achievement puts Loffler in rarefied company, joining an elite group that includes Microsoft, Timberland, Vizio, Intuit, Jamba Juice, Oracle, and Zappos.com. The list represents the most comprehensive look at the most important segment of the economy—America’s independent entrepreneurs. Loffler Companies, excelling under Jim Loffler’s leadership since 1986, continues to be the leading business technology and services provider in Minnesota and Western Wisconsin, as well as being nationally recognized in the top 15 by many of its suppliers. Our partners appreciate working with Loffler’s 340 employees who work hard every day to exceed the expectations of clients and the community. Loffler Companies is an independent Professional Services Organization dedicated to providing integrated business technology and services solutions. A quality-focused business communication company offering a broad portfolio of technology, services and solutions, Loffler serves Minnesota in the Minneapolis-St. Paul and St. Cloud areas, as well as Western Wisconsin, partnering with leading manufacturers including Canon, Konica Minolta, Océ, Toshiba, HP, Lexmark, ShoreTel, NEC, EMC, VMware and many more. For more information about Loffler Companies, contact us at 952-925-6800 or info(at)loffler(dot)com or visit us online at http://www.loffler.com. Founded in 1979 and acquired in 2005 by Mansueto Ventures LLC, Inc. (http://www.inc.com) is dedicated exclusively to owners and managers of growing private companies that deliver real solutions for today’s innovative company builders. For more than 30 years, Inc. magazine has been the premier print publication for entrepreneurs and business owners. In 1982, the Inc. 500 was introduced, which showcases the fastest-growing privately held companies in the United States.